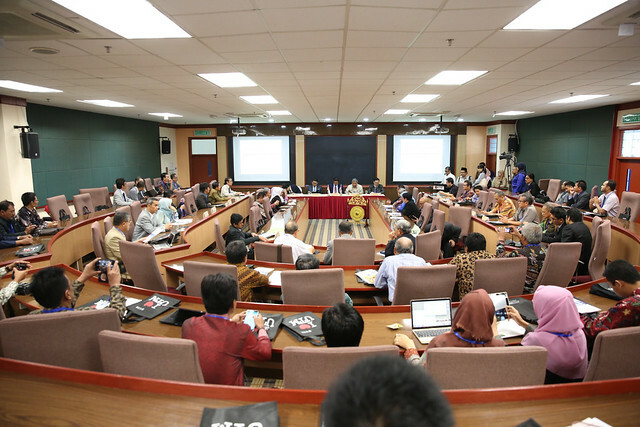 The I’MRC is the Indonesia-Malaysia network of research-intensive universities and institution, working together to foster institutional innovation through research-inspired teaching and learning, student mobility, connecting our students and staff, and wider advocacy for internationalisation. The forum was chaired by the Secretary-General Ministry of Higher Education, Malaysia, Y. Bhg. Dato’ Seri Ir. Dr. Zaini Ujang. It was attended by more than 70 delegates from more than 30 Malaysia and Indonesia institutions of higher learning, including Universiti Teknologi Malaysia, Universiti Malaya, Unversiti Putra Malaysia, Universitas Indonesia, Institut Teknologi Bandung, Institut Pertanian Bogor, Badan Pengkajian dan Penerapan Teknologi and Institut Teknologi Sepuluh Nopember. 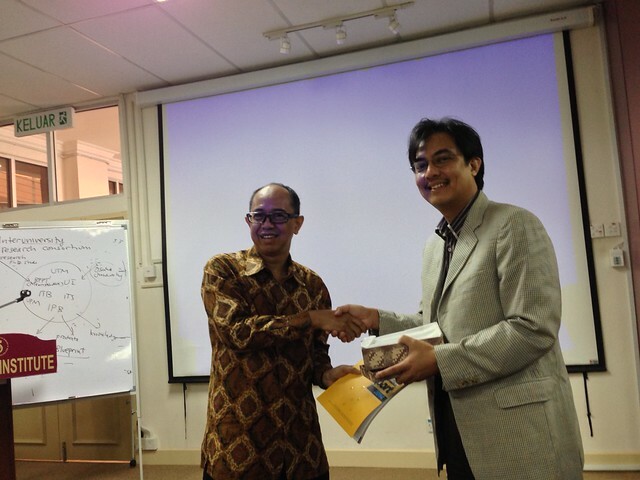 The former Minister of National Education, Indonesia – Prof. Dr. Ir. Mohammad Nuh also joined the forum. Followed by I’M RC Forum, a research engagement workshop was held in the afternoon. The workshop was chaired by Deputy Vice Chancellor-Research and Innovation of UTM, Prof. Dr. Ahmad Fauzi Ismail. Issues of research collaborations and joint supervision among the Indonesia and Malaysia Intitutions of Higher Learning were discussed. On 19-20 May 2016, Regional Annual Fundamental Science Symposium 2016 was also organised by my research centre. RAFSS 2016 is the thirteen in a series of interdisciplinary symposia that is organized by the Centre of Sustainable Nanomaterials (CSNano), Ibnu Sina Institute for Scientific and Industrial Research, Universiti Teknologi Malaysia. RAFSS 2016 is devoted to all aspects of fundamental science research in the fields of Physics, Chemistry, Mathematics and Biology. Please click the following photo to see the activities of I’MRC forum. We would like to thank our colleagues at the Institut Teknologi Sepuluh Nopember (ITS) and Politeknik Elektronika Negeri Surabaya (PENS) for a good reception during our visit there, especially to Prof. Mohammad Nuh (former Indonesian Minister of National Education). Hopefully, our plan to establish the Indonesia-Malaysia Research Consortium (I’M Research Consortium) can proceed smoothly. Prof. Mohammad Nuh agreed to attend the I’M Research Consortium Forum which will be held at UTM, Johor Bahru, on May 18, 2016. Discussions with the delegation from BPPT Indonesia, following up to the agreement officiated last month on bilateral collaboration in research and academic issues, at CSNano, 10 June 2015. Special areas of interest this time was materials and energy.